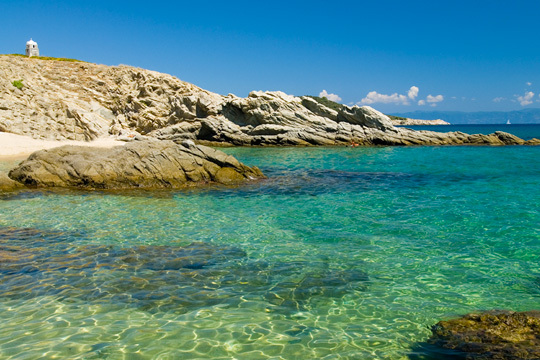 Sarti beach in Sarti Halkidiki is most often listed in groups of reccomended Greek beaches. This makes this beutiful place in Greece one of the best places to visit when looking for exotic beaches, relaxation and fun. 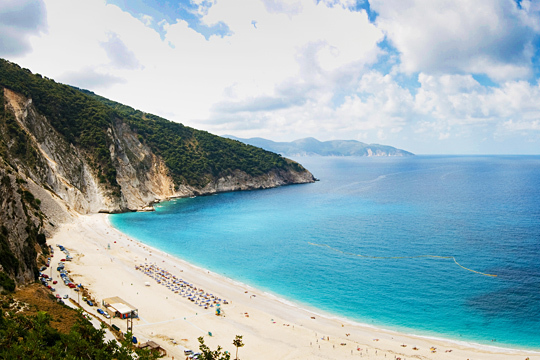 Myrtos is not just one of the most exotic beaches in Greece, but also one of the most beautiful ones in the world. An interminable beach, with turquoise blue, crystal waters, white steep cliffs submerging in the water, pure white pebbles and a scintillating sunset that everybody sticks around to see. Only pictures can illustrate the beauty of this place. The shallow bay formed in the peninsula of Gramvoussa, in the northwest of Chania, offers visitors the incredible view of all the shades of blue. The scenery is truly exotic and unspoiled. 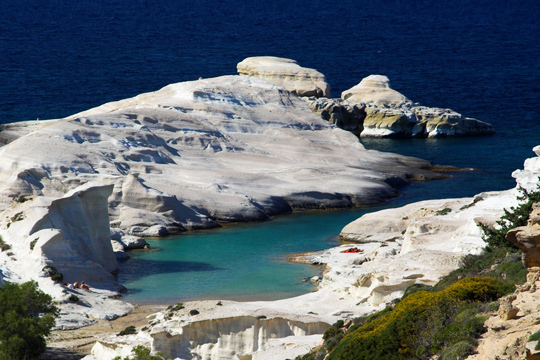 This outstanding beach with the white rocks looks like a scene from the Moon! 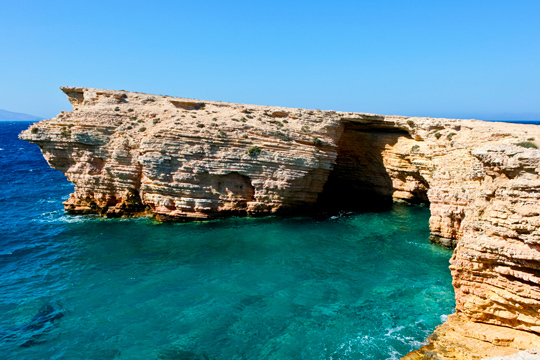 Stone arches, underwater caves, white sand, narrow trails and crystal, blue waters. 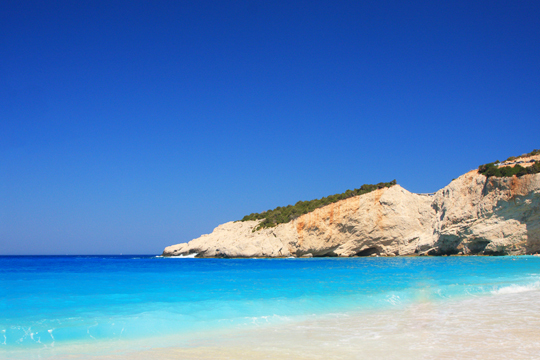 Turquoise blue waters, thin white sand and evergreen hills that reach all the way to the sea. An overall exotic and impressive Ionian beach, with few taverns by the wave, serving ouzo and fresh fish. One of the most stunning and wild beaches of the world. The steep rocks that abruptly fall in the turquoise waters and the thin white sand compose an incredibly exotic view. Especially if you add the high waves and the strong winds that almost always blow in this miraculous coast. 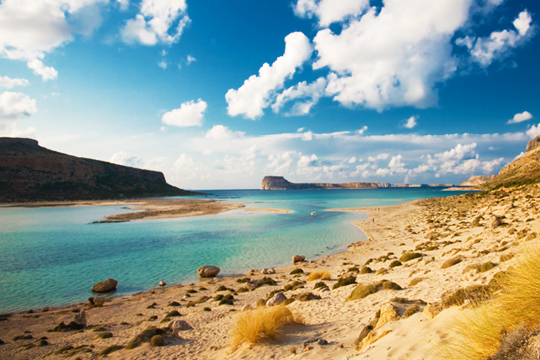 Elafonisos is a tiny, exotic island off the coast of Lakonia. It can be accessed by a small boat. Walk through the picturesque port and take a right. After crossing the dunes, you shall discover an incredible long beach with white sand and crystal clear, transparent waters. 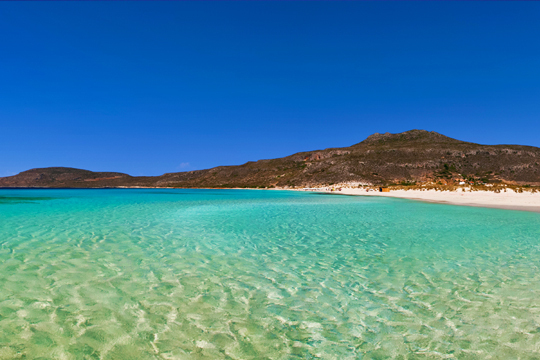 Probably the most popular beach of the Small Cyclades. Wild scenery, barren mountains, azure waters and white sand, as far as the eye can see. You will think you can drink the water! 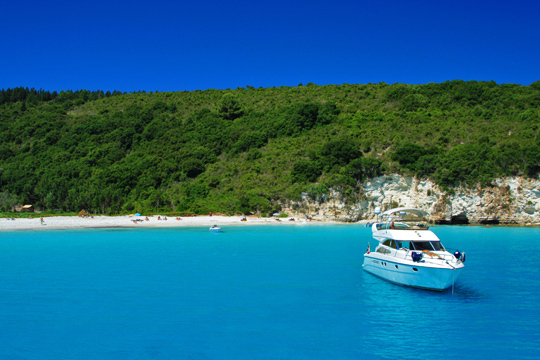 The region of Chalkidiki boasts some of the most beautiful beaches in Greece. Sarti is a very long, unspoiled sandy beach, with amazing crystal clear, emerald waters and pines that reach all the way to the sea. 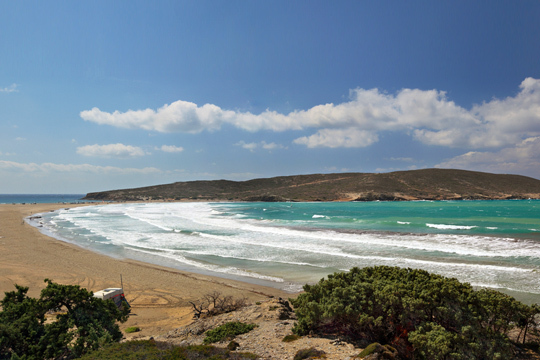 During the summer months, the sea unveils two exceptional long sandy beaches in the southernmost point of Rhodes. One has high waves and the other is calm. It’s considered as the surfers’ paradise. 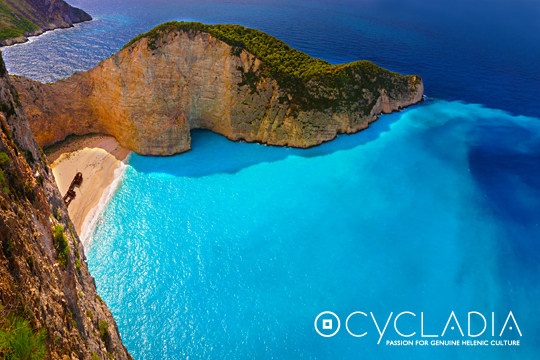 This is one of the mostly photographed beaches in Greece. Mainly because of the shipwreck that decorates this impressive white pebbled bay that can only be accessed by small boats. The waters are turquoise blue and very-very deep!